What Are The Best Part Time Jobs for High School Students? Many studies have shown that high school students that have part-time jobs considered their work experience a productive way to greatly enhance their interpersonal skills and future job prospects. More than earning money, part-time jobs mold students to develop their sense of responsibility, to manage their time wisely, to know how to deal with adults, to familiarize themselves with the working environment and to spend time in worthwhile activities that develop many useful and lifelong skills. Another great benefit of part-time jobs to high school students is that they become mature and learn about life as an adult much more quickly and easily, meaning that after graduation, working life isn’t such a shock to the system. After performing well with their job and over time being given additional responsibilities, they develop their confidence. In addition to that, having a part-time job contributes to the students’ positive outlook towards working life. If you’re a student who is considering working in a part-time job, you need to ensure that you do not work more than 20 hours per week so that your academic future will not suffer, which could damage your future career prospects. The negative side of having a part-time job cannot outweigh the positive aspects, but it is essential to consider the opposite opinion about part-time jobs for high school students. For one, having a part-time job can affect the time available for students to study and attain good grades. They will tend to forgo important extracurricular activities that may interfere with their work, therefore a balance between work and school must be the priority. It is also advisable to secure a work permit before being employed. Once the academic performance of the student is affected, the school has the right to rescind the work permit. So after talking about the positive and potentially negative aspects of holding down a part-time job while studying, I have provided you with the list of jobs that you might find interesting. Landscaping is a good part-time job for high school students. Many homeowners are seeking help for the various different work that needs completing around their yard. Your neighbor will be much happier to employ you part-time than to employ an expensive landscaping company. This job might be physically demanding but offers great pay to starters like you, and a great work out, so good for your health too! To be a pet sitter or an animal caretaker is a good job for part-timers high school students. In your neighborhood, there are a lot of pet owners who may often need to leave their pets at home alone the whole day and have no one to take good care of it. If you are fond of walking the dog, pet sitting and grooming the pet, here is your chance to earn while you play and take care of your neighborhood animals. To be a tutor is an exciting way to earn extra cash for your education. If you have the skill and enthusiasm of being a teacher why not try to teach children with their subjects or help them with their homework. You can build connections through your friends and local library where they can refer somebody that needs help in their academia. This way you can start your own small business and at the same time, you can practice your skills in different subjects as well, that way you both benefit. You can earn also extra cash by being a restaurant employee after school or in your free time. 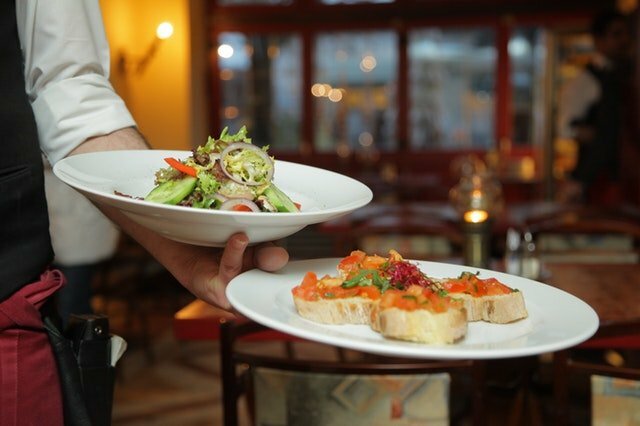 Many restaurants are hiring part-timers and apprentices to do some work in the restaurant. You can contact your local restaurant chains and check the possible jobs available. But think twice, working in a restaurant can be stressful, however the financial reward and skills you will develop can be very helpful in building your expertise. Why not be a camp counselor. Summer can be even more fun if you like to spend it in camps and be a camp counselor. It pays well and it’s a fun way to spend time socializing with others and enjoy outdoor activities. But mind you, taking care of all the children can be tedious over the long term and a huge responsibility. To be an office intern is a good job also. You can apply in any local business and try to get used to professional life. Office interns can do menial jobs in the office. This can be your future stepping stone to a more stable career. However, just be sure you are given an allowance since some of the office internships are unpaid. You can also be a Movie Theatre Employee. If you are a movie buff and are interested in all kinds of movies, you can get hired in one of the cinemas in your local area. Just check out if they are hiring somebody for a part-time job. This is a classic venture for many students. 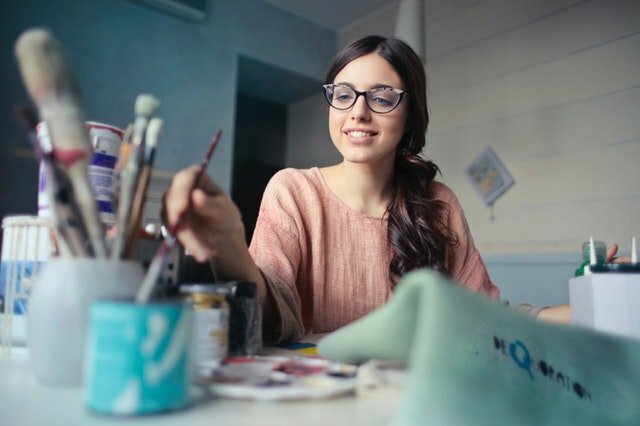 If you are creative enough and have a passion for art, then you might be able to make some kind of homemade goods that you can sell online. Etsy.com is a very popular website where you can sell your goods to the whole world. It’s your chance to work at home and sell your creative crafts to the world. Apply as park employee and earn extra cash as a part-time worker. There is a lot of work available in this field like guest services to concessions. The problem is that working in a park can be unpaid and be on a voluntary basis. Better check the details before you apply, although the free work experience is always a great advantage and will look good on your resume. Be a volunteer. As part-timer, being a volunteer is probably the best way to kick off your summer with worthwhile activities, or simply something to do in your free time. It’s especially helpful to take up volunteering activities if you’re not feeling very confident or you have little work experience. In fact this is how I started off back when I was a teenager, I worked at my local garage doing a whole range of tasks, from cleaning to handing out coupons and leaflets. Although I didn’t get paid for what I did, it helped me build my confidence, make friends and develop a lot of skills I would have never have learned by being sat in the classroom.